SAT scores hit four-decade low: What does that mean for Minnesota schools? SAT reading scores hit a four-decade low trumpets the Washington Post headline. That means one point lower than last year. The average reading score dropped from 497 to 496. Is that even statistically significant? That’s the national average. Minnesota schools and Minnesota students have even less to worry about. The mean critical reading score for Minnesota students in 2012 was 592, down one point from 2011, but up 11 points from 581 in 2002. So Minnesota schools and Minnesota students are far above average, right? Critics of public education like to point to falling test scores for U.S. students. The biggest factor in falling test scores on SAT and ACT tests is the increasing proportion of students being tested. Back in the day, only the small percentage of students who were clearly college-bound took the tests. Today, a much higher percentage of students takes the tests and plans to go to college. Minnesota’s average composite score of 22.8 was the highest in the nation among the 28 states in which more than half the college-bound students took the test in 2012. Minnesota has led the nation in average composite ACT scores for seven consecutive years. 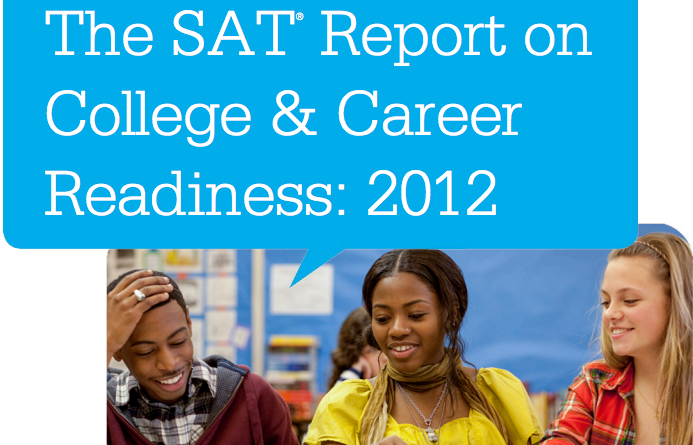 In 2012, 67% of all ACT-tested high school graduates met the English College Readiness Benchmark, while 25% met the College Readiness Benchmarks in all four subjects. Fifty-two percent of graduates met the Reading Benchmark and 46% met the Mathematics Benchmark. Just under 1 in 3 (31%) met the College Readiness Benchmark in Science. Second, all numbers should be regarded with skepticism, and carefully analyzed. The WaPo headline at the beginning of this article is 100 percent accurate and yet entirely misleading. That’s not unusual with reporting on education and test results. Reader, beware!